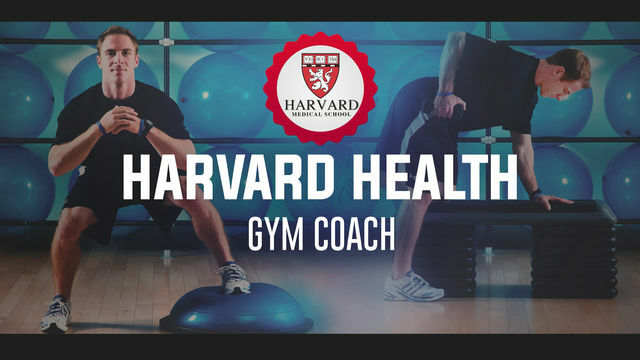 The Harvard Health Gym Coach is a comprehensive plan designed by the Harvard medical pros to help you get and stay fit. We bring together the experience we’ve gained in personal training & rehabilitative medicine. Whether at the gym, at home or at a hotel, this program is packed with core, strength, stability & travel-ready workouts. These nine excellent workouts will challenge your body and spirit in a variety of ways while warding off boredom. Some workouts require common gym fitness equipment. Enjoy!